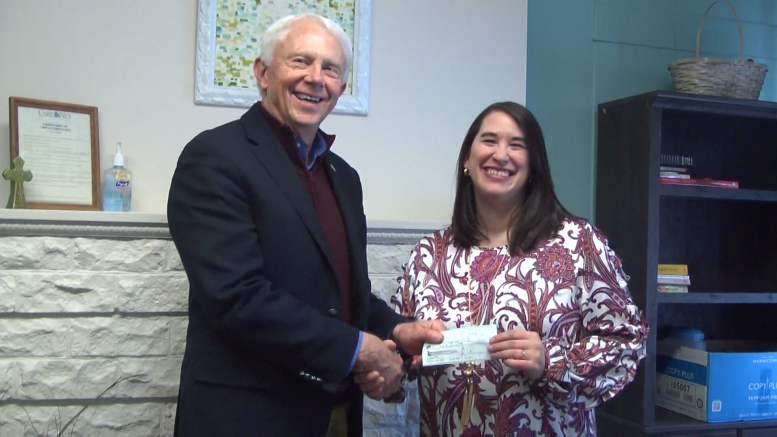 Options Pregnancy Center got a push in the right direction with a generous donation from Congressman Jack Bergman. The congressman stopped by Options yesterday to chat with employees and volunteers about the impact the organization is having in the community. He also took the time to learn about the experiences of those who have relied on the organization’s services. Bergman says offering a safe place to those who may have nowhere to turn, can change the lives of those involved. Terry Denmark, treasurer of Options, says the organization is doing everything it can to serve the community, but running only on grants and donations can present some financial challenges. He hopes those close to the cause will see to it that the center remains open. “This summer’s going to be a big summer for us. Circumstances has required that we find a new location, and so as we’re looking, we’re finding the rent’s a little higher. Options serves five counties throughout the area. Those looking to contribute can drop off donations to the facility, or send them by mail. For more information, visit optionspregnancycenter.org.